When Ronald Reagan entered office in 1981, unemployment was high, interest rates were skyrocketing, and the nation was plunging into a recession. Meanwhile, the Cold War was escalating as both Soviet and American leaders fired heated rhetoric from behind their podiums of power. 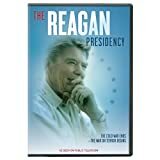 Now a new three-part series, offers an in-depth study of Reagan's work in the White House as he dealt with these tumultuous circumstances. 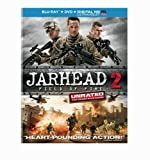 Peabody Award-winning journalist Bill Moyers (PBS, NBC, CBS) explores how "super lobbyist" Jack Abramoff rode a wave of corruption to enrich himself and promote his causes - from Indian casinos in Louisiana to the Moscow offices of Russia's new oligarchs - taking down other Washington heavyweights in the process. 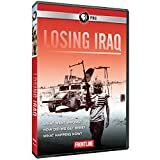 The DVD set includes a bonus disc with Buying the War, a 83-minute bonus examination of the media's role in the 2003 invasion of Iraq; segments from Bill Moyers Journal; a 8-page viewer's guide; and much more ($49.99, AthenaLearning.com). Capitol Crimes is Athena's eleventh release from Moyers' acclaimed library of programs. On her 50-state road trip, Pelosi discovers who really makes up America's melting-pot society, including: New York City coffee cart guys; a Buddhist monk in Utah; a nuclear scientist at Los Alamos National Lab; a Kentucky Paralympian from Nigeria; young refugees from Iraq living in Nebraska; and a Muslim mother with a dream to take a cruise to Alaska. This lively documentary, directed by Michael Henning and produced by Diana Oliver, explores the reasons why the United States is the only developed country that still bans the growth of Industrial Hemp. Hemp, which is a durable fiber cultivated from plants of the cannabis genus, can be used for paper, textiles, biodegradable plastics, construction, health food and fuel. Due to its relation to marijuana, it is illegal to grow in the U.S. under Federal law. Hemp is considered a controlled substance under the Controlled Substances Act even though it contains minimum levels of Tetrahydrocannabinol (THC). First-time filmmaker and former public interest lawyer Susan Saladoff uses the infamous legal battle that began with a spilled cup of coffee to investigate what's behind America's zeal for tort reform – which threatens to restrict the legal rights of everyday citizens and undermine the entire civil justice system – in the thought-provoking documentary Hot Coffee, debuting MONDAY, JUNE 27 (9:00-10:30 p.m. ET/PT), exclusively on HBO.